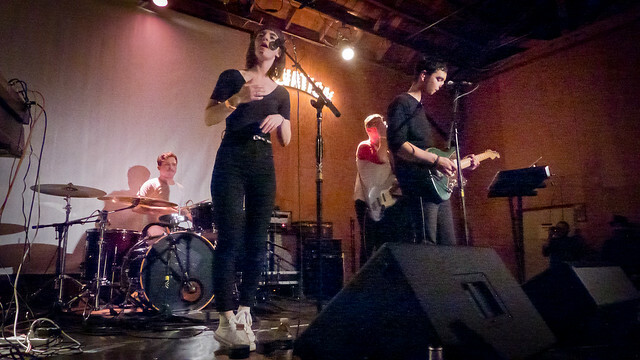 Portland's Wild Ones performs at The Bootleg Bar. Since rays of sunshine can't give hugs, Portland's The Wild Ones come pretty close with their warm and sunny melodies. Sort of like electro-pop on decaf, you can't help but feel comforted and safe when you hear lead singer's Danielle Sullivan's soft and tranquil vocals - especially on songs like "Golden Twin" and "From Nothing." Wild Ones performed Wednesday at The Bootleg Theater playing from their new album Keep It Safe which dropped last year. This night's set even included a jazzy version of Drake's "Hold On, We're Going Home." If you missed them, Wild Ones play a free show at Bardots School Night this Monday.